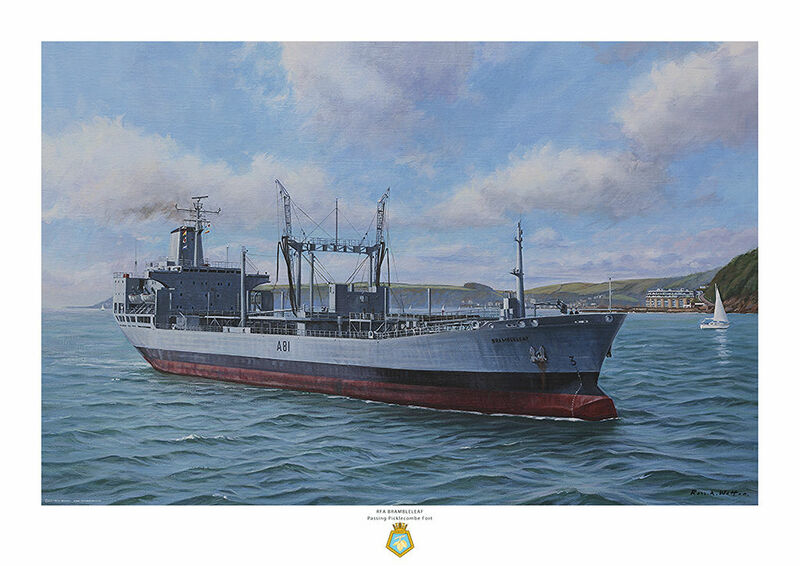 RFA Brambleleaf (A81) was built by Cammell Laird, Birkenhead and commissioned on 20 February 1980. She saw active service during the Falklands War in 1982, sustaining damage in heavy seas and being forced to return to the UK for repairs during May 1982. She returned to the South Atlantic in August. She also provided support during Operation Offcut off Lebanon in November 1983. In 2003 she took part in the second Gulf War. She was 170.7m (560ft) long with a displacement of 40,225 tons, a speed of 15 knots and a complement of 56. RFA Brambleleaf was scrapped on 18 August 2009.